The pain of a burn injury is severe and enduring, with treatment for the most serious burns lasting months or even years. 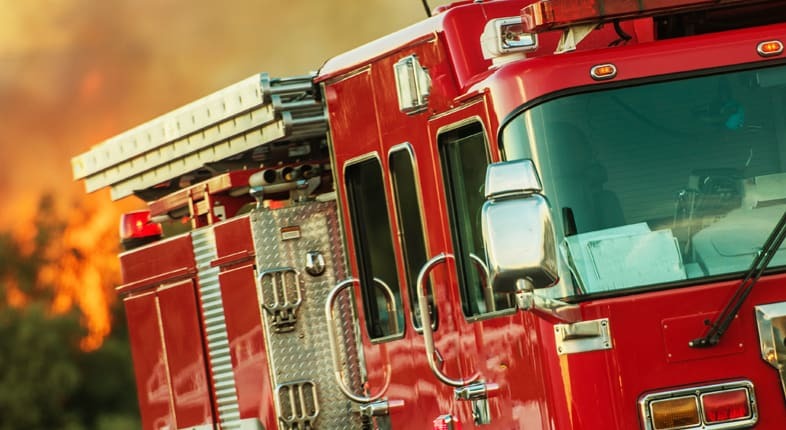 Coupled with the risk of additional complications and the psychological impact of the injury-causing event, burn injuries endure challenges that many of us cannot even imagine. $10 million verdict on behalf of a 10-year-old boy who sustained severe burns at a public park. $2.1 million verdict for a woman who sustained burn injuries related to a dangerous water heater located in her apartment building. First-degree burns. When a burn injury solely damages the outer layer of the skin, it is classified as a first-degree burn. This is the mildest type of burn, with victims experiencing pain and reddening in the burn area. Second-degree burns. These burns are also referred to as partial thickness burns, causing injury to the outer and inner layers of skin. In addition to pain and redness, victims also experience blisters and swelling. Third-degree burns. Also called full thickness burns, these injuries extend into the dermis area of the skin. They may even affect deeper layers of tissue. The victim’s charred skin may become numb, appearing white or blackened. Fourth-degree burns. When the injury extends into the muscles or bone, it is classified as a fourth-degree burn. The destroyed nerve endings that occur with these injuries can keep the victim from initially feeling the pain of the injury. Car accidents. Though federal safety standards work to make cars less susceptible to explosions and fires, these tragedies still occur, leaving victims with severe burn injuries. Defective products. Defective products make their way into various aspects of our lives. In a work environment, a piece of machinery or necessary tools may overheat, causing serious burn injuries. Defective car parts can cause a fiery crash. Even children are at risk for burn injuries from defective toys. Scalding liquid. Hot liquids can cause burning and blistering when they come in contact with the skin. For example, a waitress who spills scalding coffee on a patron may result in financial liability for the restaurant. Workplace accidents. Workers in industrial or construction site settings must often handle hazardous materials and equipment. Chemical burns and flammable gas injuries are common within these environments. Apartment/commercial building fires. Property owners have a responsibility to put safety measures in place that protect residents and visitors during a fire. From extinguishers to available exits, these owners must ensure that their properties are kept in a reasonably safe manner. From scalding water and flammable gas to chemical burns and faulty equipment explosions, we have handled numerous burn injury cases. Our attorneys know exactly what it takes to convince a jury that these injuries deserve lifetime compensation. Medical treatments vary depending on the severity of the burn. Initial treatment focuses on pain management and fighting the high risk of infection that accompanies a loss of skin. For long-term treatment, the focus changes to physical therapy and the rehabilitation of everyday functions. We understand that burns can cause additional injury even after the initial incident. You or your loved one may suffer from scarring and disfigurement, continual pain and discomfort, blindness as well as psychological scars. We are tenacious in finding the right investigators to determine the cause of the accident and the best doctors to treat the worst types of burn injuries. The experienced Los Angeles burn injury lawyers of Taylor & Ring take great pride in guiding victims through such a difficult time and ensuring that complete justice is obtained against all culpable parties. Call today at 310-776-6390 or complete our contact form to schedule a free and confidential consultation.